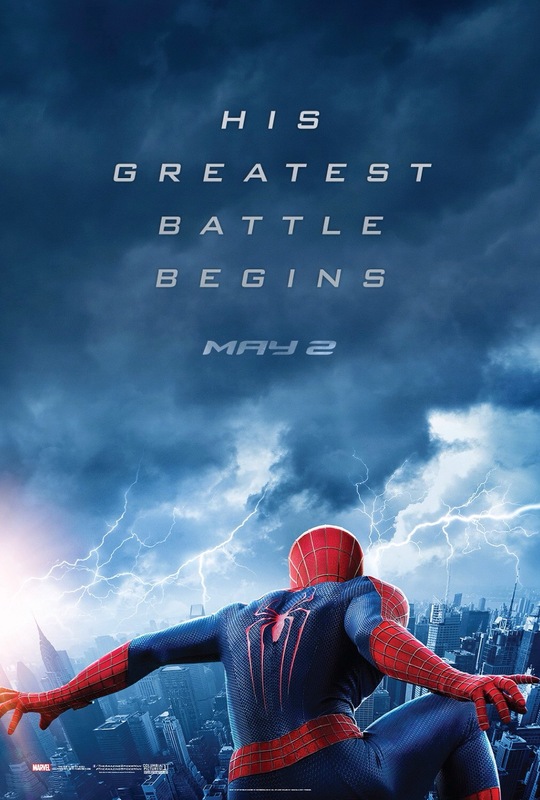 Tagline- His Greatest Battle Begins! When it comes to the Hollywood blockbuster films I can’t honestly say I’m not much of a fan at least starting in the mid-90s with the beginning of the Michael Bay era. Now sure there are plenty of big Hollywood films I’ve loved, but the good bulk I either find decent with little desire to see again or I disliked them. 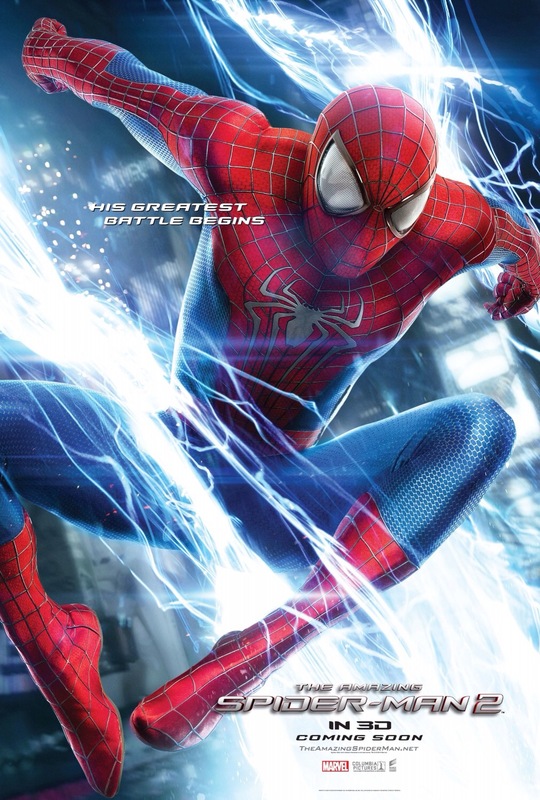 The Spider-Man series is one of the exceptions as I’ve enjoyed them and I might even lean towards the Amazing Spider-Man being my favorite and I’m a big Sam Raimi fan and while I loved the first two as stated I might lean more towards the Amazing Spider-Man, but its a close call. I’ve heard a lot of negatives comments about the 2nd film and due to the running time (and not being again a big Hollywood person despite enjoying this series) I decided to hold off until home video. I went it hoping for the best, but kind of expecting the worst since I was told its the Batman & Robin of the Spider-Man series. When all is said and done I didn’t find the Amazing Spider-Man 2 to be a terrible film, but its also far inferior to the first film (or 4th depending on even if the last was the start of a new series). I think the best way to put it is while I didn’t hate this I also have no real desire to see it again. The screenplay was written by Alex Kurtzman, Roberto Orci & Jeff Pinkner and from a plotting standpoint it isn’t very well done and it seems to me the film runs in circles in particular with Peter and Gwen (Stone). It just felt like the sane scene written over and over again. The new editions to the cast make zero impact as Harry Osborn (DeHaan) and his whole story arc is weakly written and just not very interesting and his transition to the Green Goblin for me fails. In the Raimi series I liked the relationship between Peter and Harry, but here there’s no depth to it. 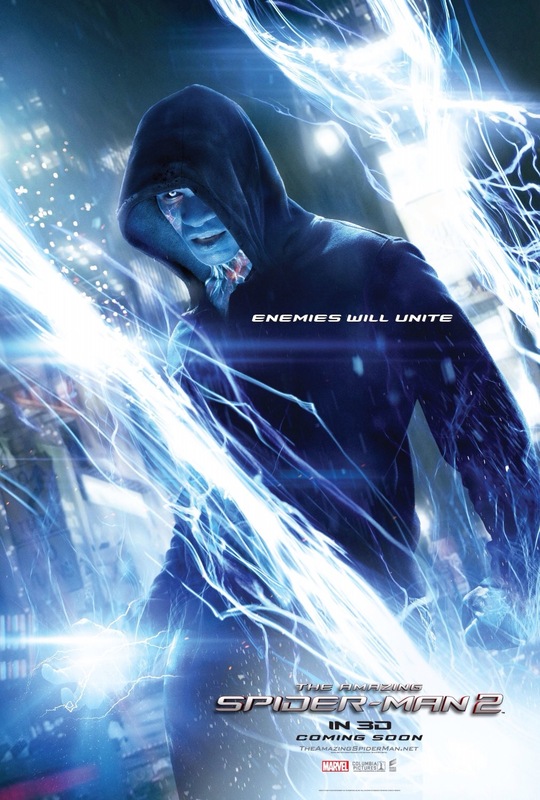 The main villain here is Electro (Foxx) and while in someways he was a sympathetic villain, but he’s so underused I found myself not even caring at all. 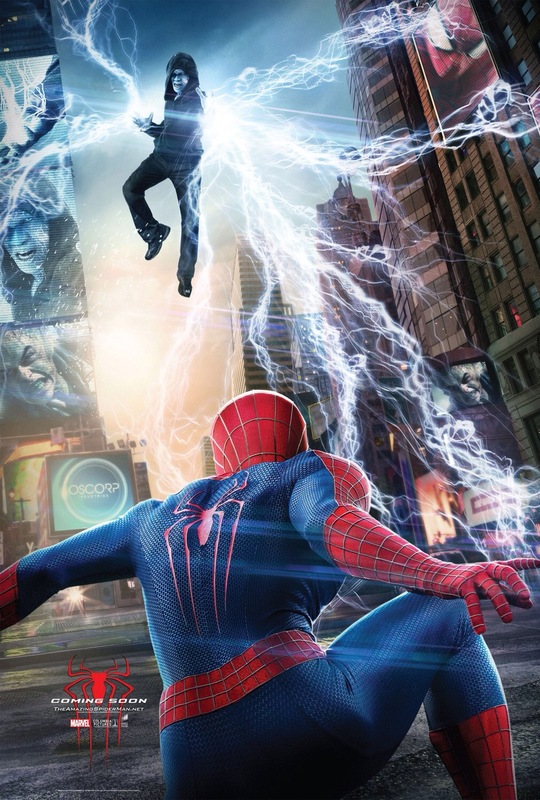 Amazing Spider-Man 2 relies on story and character, but neither is nearly as strong as the first and this could have used more action as it would have helped covered up the subpar screenplay. The script isn’t a compete mess as there are some fun moments and solid ideas, but again I just felt as if the script kept going in circles. Director Marc Webb returns and what a difference between films. 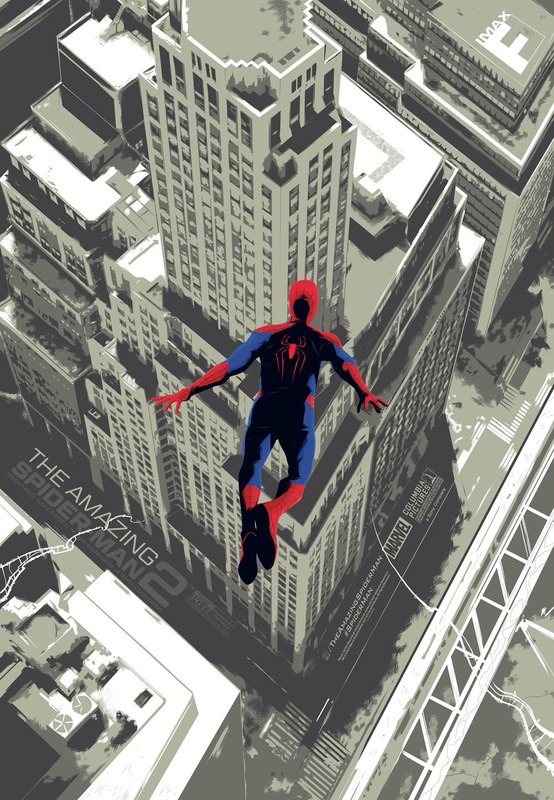 The Amazing Spider-Man was one of my favorite films of 2012 to be exact my 3rd favorite (Django Unchained and Dark Knight Rises were my top 2). 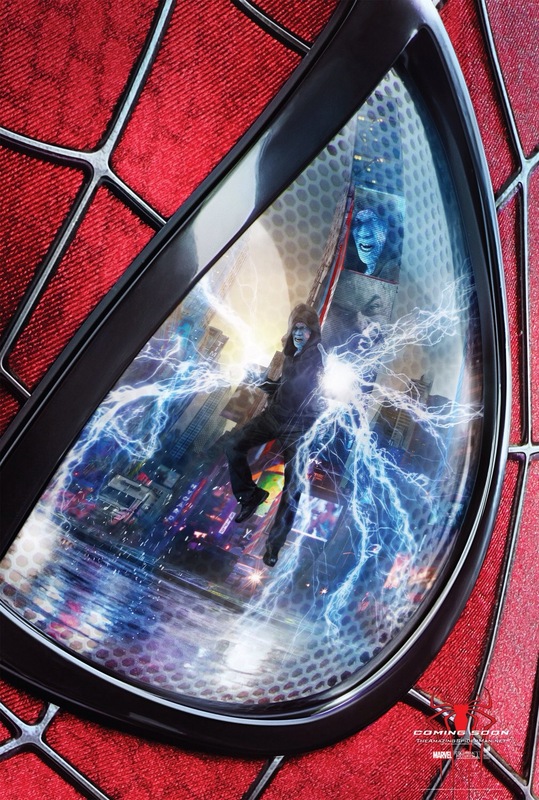 As much as I love Sam Raimi I would again probably favor the Amazing Spider-Man, but this film is quite sluggish in its pacing and at 141-minutes its way too long. While a lot of the issues could be placed on the script, but Webb fails to bring much to the film as well. Webb does handle the action scenes fairly well and he does bring some excitement to them, but there’s no energy in the story side of the film and as mentioned the film relies on story and characters and it makes for a film that’s more boring than anything else. The biggest issue though at least for me was the death of Gwen Stacy; quite honestly I found it quite anti-climatic and underwhelming and it lacked the emotional impact. 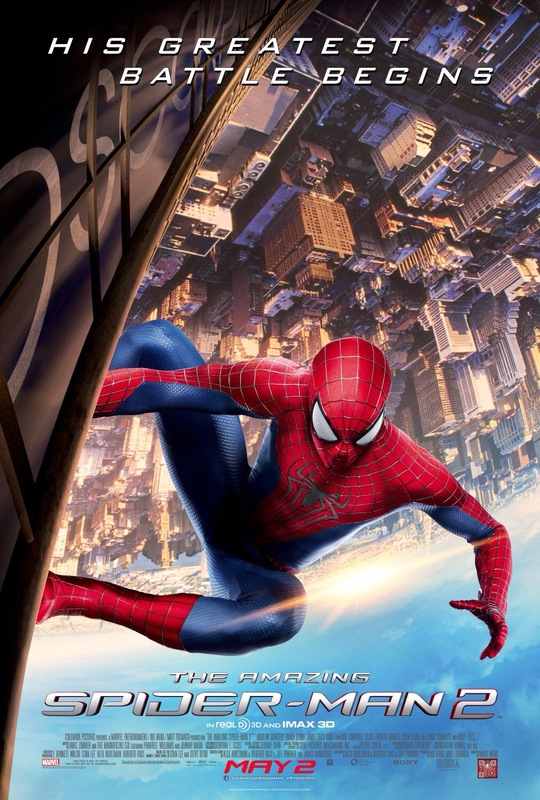 I’m not sure what went wrong here as it feels like a different filmmaker and like I said a lot of the issues were on the writing and I’d blame that more than the direction, but I did expect more since Marc Webb made a truly wonderful film with the Amazing Spider-Man and this was just sort of blah. Really what salvages the film and at the very least keeps it watchable were the once again terrific performances by Andrew Garfield and Emma Stone. They both work so well together and have a natural onscreen charisma (Stone in particular). Whenever I think of Peter Parker/Spider-Man, Andrew Garfield will be the first person that comes to mind. While the rest of the cast is also strong, but are all totally failed by their writers, but while Garfield and Stone are also failed by the writing to some degree, but both are so fun to watch they make the material seem a little better than it actually is. 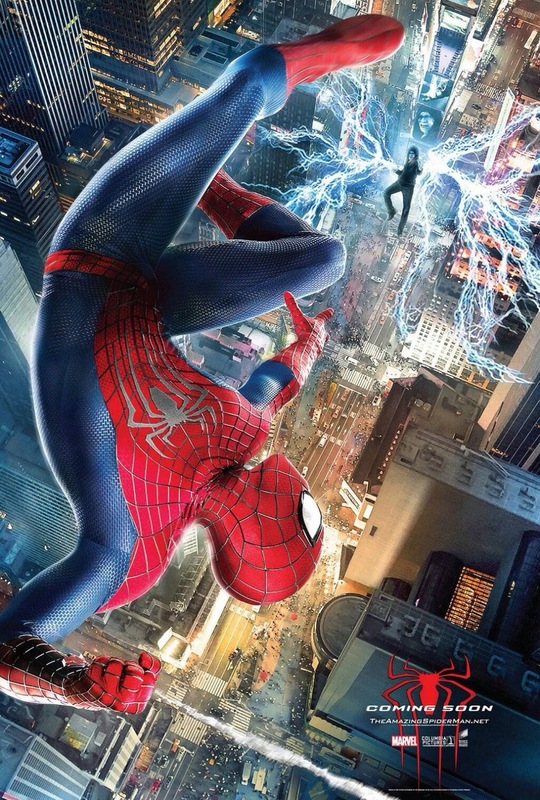 Overall the Amazing Spider-Man 2 isn’t really a bad film, but it isn’t all that good either. For me this was quite a disappointment, but its a major step backwards for the franchise and while it turned a profit it didn’t gross as much as the studio expected and I’m not surprised. The film gets off to a pretty good start, but soon begins to unravel and it really could have used some editing since the story wasn’t strong enough for 141-minute film. As mentioned the action takes a backseat and this film could have very much used more to cover up the flaws. The first film had the perfect balance of both and if anything I’d go as far to say the Peter Parker scenes were the strongest of the film, but the sequel is the complete opposite. Andrew Garfield and Emma Stone are truly wonderful and help make up for some of the flaws, but too bad their performances weren’t rewarded with a better film.